In an effort to cater to our diverse group of employees, AMWAJ provides multiple choice of menu on a daily basis. The menu comprises of Arabic, Far eastern and Asian cuisine. 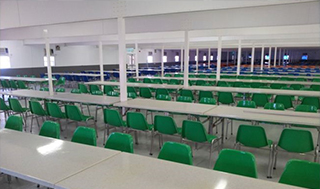 Dining areas are segregated accordingly, based on the type of food served for the convenience of employees to choose the menu of their choice. 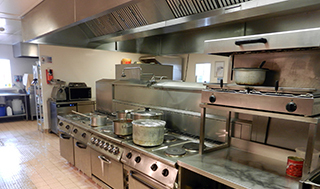 We make sure that food served is of optimal quality in terms of taste, nutritional values and hygiene. 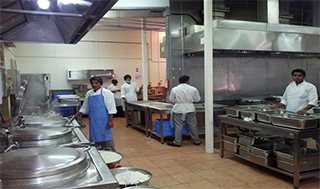 The preparation of food is under strict monitoring of Chefs and QHSE representatives.